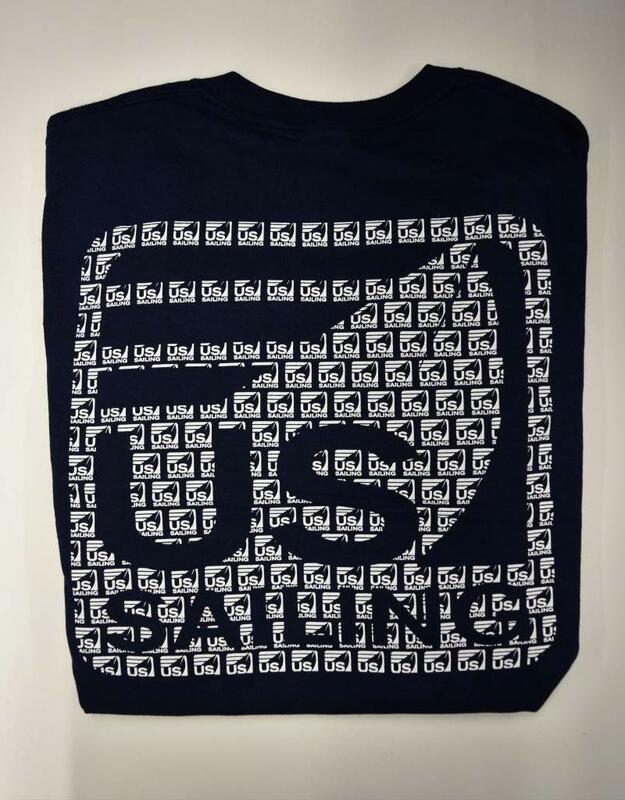 - Navy blue unisex cotton tee. 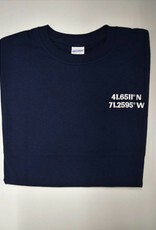 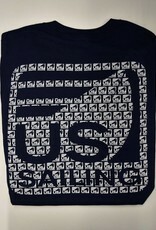 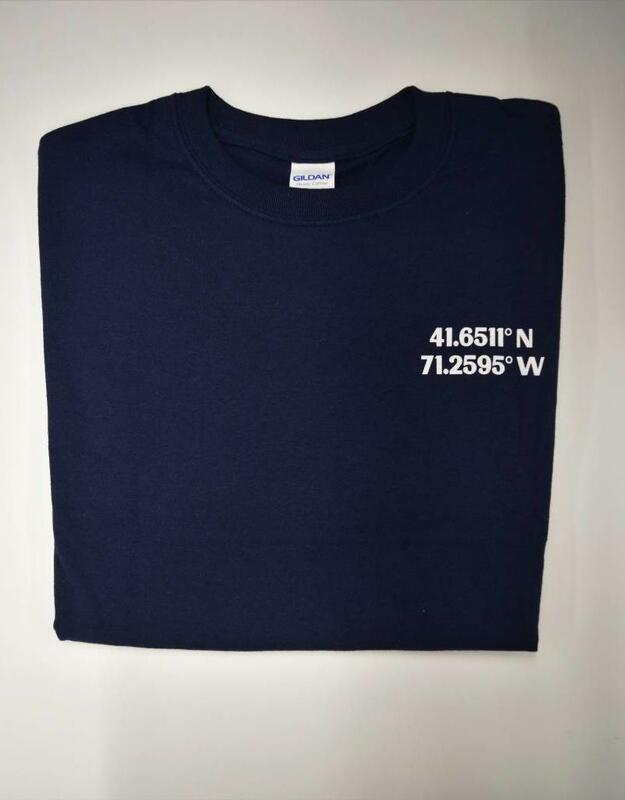 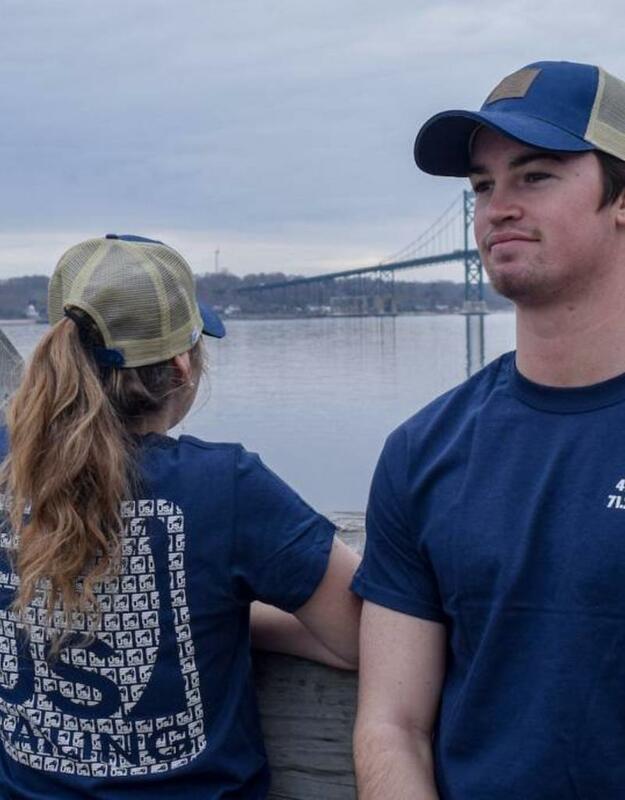 US Sailing coordinates on the front, logo on the back. 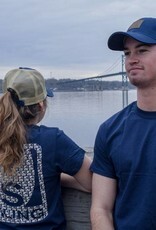 - Adjustable mesh hat with US Sailing patch on the front, coordinates shown on the side.